SCAN has interviewed some of the clubs competing at Roses to get the latest on their rigorous preparation for the biggest sporting event of the year. Part One features Women's Football, Men's Hockey, Lacrosse, Equestrian and Canoe. SCAN has interviewed some of the clubs competing at Roses to get the latest on their rigorous preparation for the biggest sporting event of the year. Part One features Women’s Football, Men’s Hockey, Lacrosse, Equestrian and Canoe. Last year’s result: Lancaster 2-2 York. 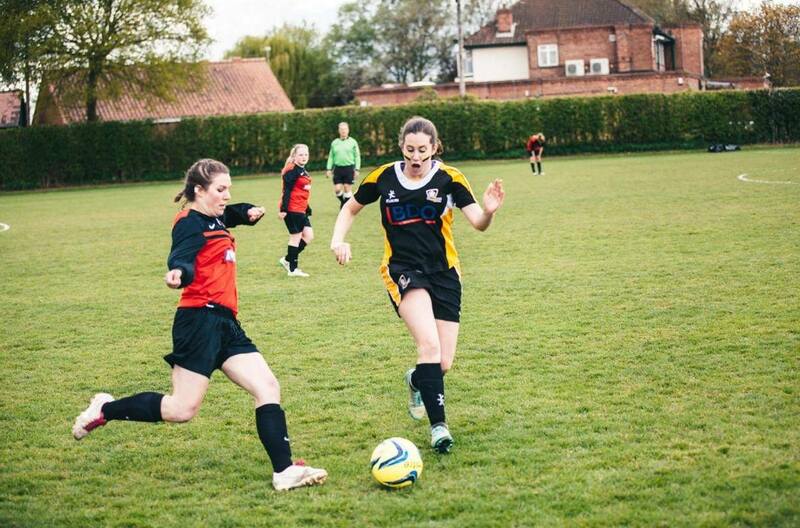 Last year our 11-a-side fixture was a draw away at York, which was the first time either Lancaster or York women’s football have done better than a loss away in six years. Lancaster going in for the tackle. Photograph: Lee Brown. Expectations for this year: Every year Roses is without a doubt our biggest fixture, and so all of our girls work extremely hard in preparation. This, plus our passion and team cohesion, is sure to make both of our fixtures ones not to be missed. We can guarantee two well fought battles against two strong York sides. The team’s key strengths and competitors: We pride ourselves on heart and working for each other as a team, not as individuals. We have talented players from back to front that work tirelessly on the pitch. Why should we go and watch you? Not only is our 1st team’s fixture the Opening Ceremony, but women’s football as a sport has developed drastically over the past year, gaining the recognition it should have had for a long time as a result of the success of our Lionesses at the World Cup. It is also the first time that we have enough players in our club to be able to field a 2nd team at Roses, so this fixture is also not one to be missed. Last year’s result: Last year was tough, starting the year with only 14 members in the entire men’s club, which is only one squad. Despite huge progress throughout the season, we finished Roses with no wins and no points gained. In the indoor hockey two tight games were lost due to our lack of indoor experience. The 3rds were unlucky in a 1-0 loss, the 2nds humbled 12-0, and 1sts beaten 3-0, but by no means outplayed. Expectations for this year: This year has been a lot stronger, having lost very few players and each team improving throughout the season so we expect a far stronger display across the board. With some talented freshers in the indoor squads there is a real chance this could be the year where the boys finally pick up some victories in indoor. We expect at least one win. For outdoor there will be no repeat of last year’s humbling. The 3rds should edge their match with a stronger and more experienced team than last year. The 2nds have improved as a side, so whilst a complete turnaround from last year’s horror show may be ambitious, they should be far more competitive. The 1sts have a stronger squad and fully expect to beat York having competed in a stronger BUCS league all season. So in conclusion three wins is the minimum, but we are ambitious and fully believe we can get four wins. The team’s key strengths and competitors: The 3rds show real pace on the counter attack combined with a deceptively advantageous lack of knowledge of the rules, which strengthen this team. Key players are the midfield trio of Connor Morrison, Johnny Bardrick and Jack Croft. The 2nds boast incisive through balls and a really strong team bond. Dexter Williamson and Robert Haggis are key players. A very talented midfield holds the strength of the 1sts, with ball retention and high energy defending key aspects of their game. Key players include former England youth player Liam Ganose and the clever talents of Alexander Beauchamp. Why should we go and watch you? Indoor hockey creates an incredibly loud and intense atmosphere. It’s a high speed, skilful game that is end-to-end, and the score can go from 2-0 to 2-3 in a matter of minutes. Whilst we play all hockey in good spirit, the rivalry is intense with both clubs passionately supporting from the sides, creating a war-like atmosphere that only builds throughout the day. With twenty points spread over ten fixtures up for grabs, hockey has a big say on the outcome of Roses, so it is not to be missed! Last year’s result: Lancaster 10-10 York. Our captain was the first captain for a decade to go to York and come away with a positive result. Expectations for this year: This year we hope to go three years undefeated and keep the cup with our teams. McVitty scoring for Lancaster. 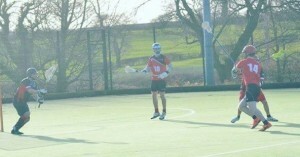 Photograph courtesy of Lancaster Lacrosse. The team’s key strengths and competitors: One of our key players will be Connor Thompson at long stick middle, using his skill and power to keep defence strong. Captain Michael Siddall in Middie should link up well with the attack, and president and faceoff man Andy Challis will make sure we win the ball from the start and direct traffic towards the York goal. Why should we go and watch you? There’s always a huge crowd at lacrosse because of the physicality and big hits of the game. The fast pace and close score lines make for a great game, and with loads of alumni coming back up there will be many lacrosse players to get the atmosphere going. For six senior players (myself included) it is our final roses, so we want to win it and leave a lasting legacy with the club. Last year’s result: The competition last year resulted in a win for York A, with Lancaster B and Lancaster A taking 2nd and 3rd respectively, and York B came 4th. However we were extremely pleased that our two teams had only a couple of penalties difference in their scores, showing that we could put forward two very good teams. Expectations for this year: After another year of training, coupled with the fact that we’re on home ground, we are fully expecting to have an overall win for Lancaster! Last year we were consistently better in the jumping phase over the dressage, however this year we have focused more on our flatwork, as well as taking part in pilates sessions to improve core balance and strength, and I think our dressage results have really shown that work. The team’s key strengths and competitors: Jumping is still our strongest phase, but this year the two are much more even. As far as key competitors go, I think David Lovell and Emily Quick are ones to watch out for, as both qualified for the BUCS regionals this year, and David managed to qualify for the nationals in June, beating a rider from York in the process! Miri Luft and myself were both reserves for qualification. Why should we go and watch you? Spectators should come to watch as we are one of the first events taking place in Roses 2016, and it’d be great to have as much support as possible on home ground to help us get Roses off to the best start – as we are an off-campus sport it is difficult to get additional support! This competition is also different to anything else you’ll see over the weekend, as the nature of the competition really does mean that anything could happen, given that the horses we ride are drawn randomly out of a hat and we are given minimal time to warm up before having to perform. We’ll also be providing free food! 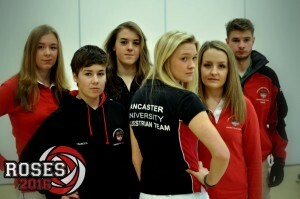 Last year’s result: In the canoe slalom, both Lancaster women and men won. The women’s canoe polo beat York 3-1, while the men’s beat York 2-1. Overall, Lancaster 1-0 York. Expectations for this year: Our expectations for this year are to win by a more convincing margin than last year and keep the winning streak going – the men haven’t lost in a decade so I’ve got high expectations for them. The team’s key strengths and competitors: Our slalom paddlers are more experienced than York, and we beat them at BUCS which bodes well. I was a Division 1 slalom paddler, so I guess that’s a strength too! Ruaidhri Meghen, the men’s captain, is a member of the Irish team, and our keeper Chris Tighe is pretty solid too! The ladies have come on a lot this year, and I’d say at this point we have a couple of strong keepers, and some very able paddlers with decent shooting arms. Why should we go and watch you? 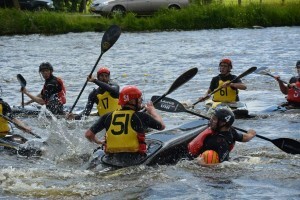 Canoe Polo is one of the fastest growing sports in the world. It is an exciting and dynamic 5-a-side sport which can be described as a mixture between water polo, basketball and rugby, in a kayak. 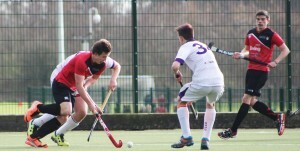 Lancaster can boast great success at Roses as the men’s team has been undefeated for over a decade in Roses, as well as carrying international experience. 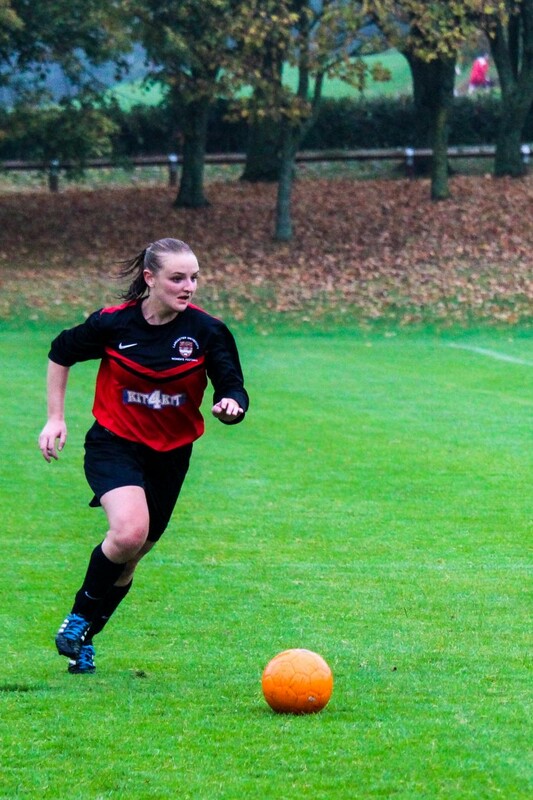 The women’s team have gone from strength to strength and have already won all university competitions which they have entered this year, and look to build on last year’s victory. Come down and watch this unique and excellent spectator sport to see Lancaster carry forward their excellent form to win again.